While motivation, confidence and training are recognized as central factor in your swimming progress they all are only as good as the fuel you use to perform well in these areas – your diet. Proper nutrition can give an edge needed to reach goals – both short term and those most ambitious. What’s diet got to do with it? All of the energy needed for the training and all other activities comes from the process of breaking up three groups of food we eat – carbs, protein and fats. The most important for training are carbohydrates as the main fuel you use during a workout. What’s important to remember is that after a 90 minutes training your energy reserves are depleted and you need to replenish it. This of course means that during your training cycle you need more carbs than non-swimmers. As explained above swimming diet needs more carbs to produce energy. There are two types of carbohydrates – simple and complex and both have their role in swimming diet. Complex carbs are great for swimmers as they are released slowly throughout the day helping you with long hours at the pool. Simple type is perfect for a quick boost of energy. The most common rule is that carbohydrates should be just above 50% of your overall energy needs as an athlete. The best way to keep your carbs intake up is to base your meals around complex type food like rice, pasta or bread giving you energy for longer periods of time. Remember to have a snack based on one of the simple carbohydrate sources (like a sports energy bar) to get energy boost after 90 minutes of training. What are the sources of complex carbohydrates? What are the sources of simple carbohydrates? Another crucial element of balanced training diet are proteins. It helps mainly with your recovery and rebuilding your body between the training and is absolutely indispensable for you to stay healthy, grow and build muscles. Remember to choose low-fat food preferably baked or grilled and not fried. What are the sources of proteins? Rich fats diet isn’t good for anyone but it especially can impact swimmers for two main reasons. Firstly – it will make you feel full and uncomfortable in the pool and it can physically and psychologically influence your performance during the competition. Secondly, fats you choose will most often replace carbs – the most important part of your diet! Why it is wise to control calories burned? Our conversations with swimmers (both masters and competitive) confirm that there’s a great benefit in counting calories burned during your training. The overarching rule of swimming diet is that you need much more energy than others to keep your stamina up. Very often swimmers don’t eat enough and it immediately shows in their lap times. 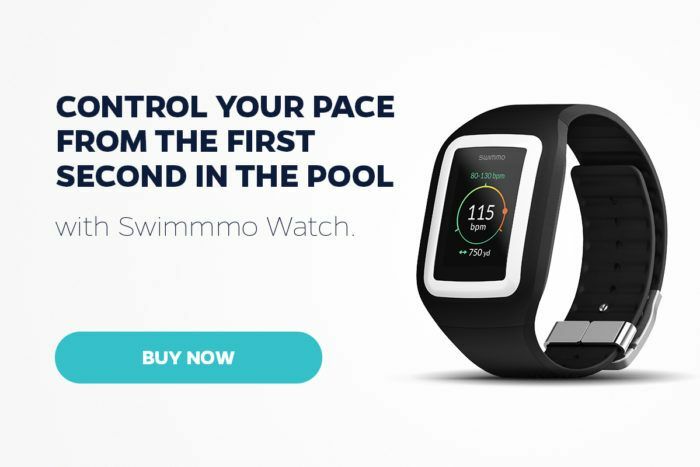 To fix it you can start controlling this metric using Swimmo swimming watch and always know if you need additional boost of energy!